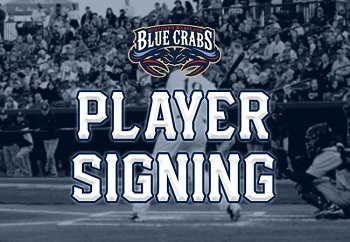 The Southern Maryland Blue Crabs have announced their signing of John Hayes and Milton Perez. The duo was acquired at the Atlantic League of Professional Baseball Player Showcase produced by Prospect Dugout, an organization co-founded by Blue Crabs’ player/hitting coach, Craig Maddox. The showcase took place March 29-31 at the TigerTown Complex in Lakeland, Florida, the Detroit Tigers’ home for Spring Training. More than 300 players attended, including many with MLB experience. In addition to all eight ALPB teams being present, more than two dozen MLB teams were represented at the showcase. 11 players were selected in the ALPB draft, including Hayes and Perez. The Blue Crabs’ first round draft pick John Hayes began his professional baseball career when he was drafted by the Detroit Tigers in the 25th round of the 2016 June Amateur Draft out of Wichita State University. The right-hander’s athleticism extends far beyond the pitchers’ mound. He won state twice in the 400 meter-dash at Pottsboro High School (Texas), yet despite having scholarships to run track in college, Hayes decided to stick to baseball citing his dislike for running. Staying with baseball turned out to be a great decision for Hayes, considering a stellar career up to this point. 2019 marks the first non-affiliated season of his career, after spending the first three in the Tigers’ organization. Southern Maryland’s second round draft pick, Milton Perez is a native of Aguadilla, Puerto Rico, where he graduated from Liceo Aguadillano High School in 2015. He went on to attend Southwestern Community College in Creston, Iowa for one year, and subsequently attended Clarke College in Dubuque, Iowa.